or like in this video. 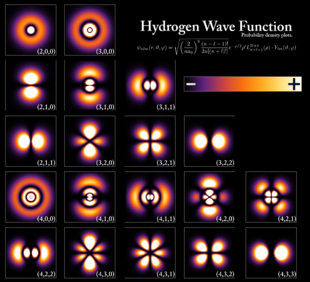 This seems to need some light-emitting volume whose intensity is described by some formulas. Which would be the smartest approach for this problem? 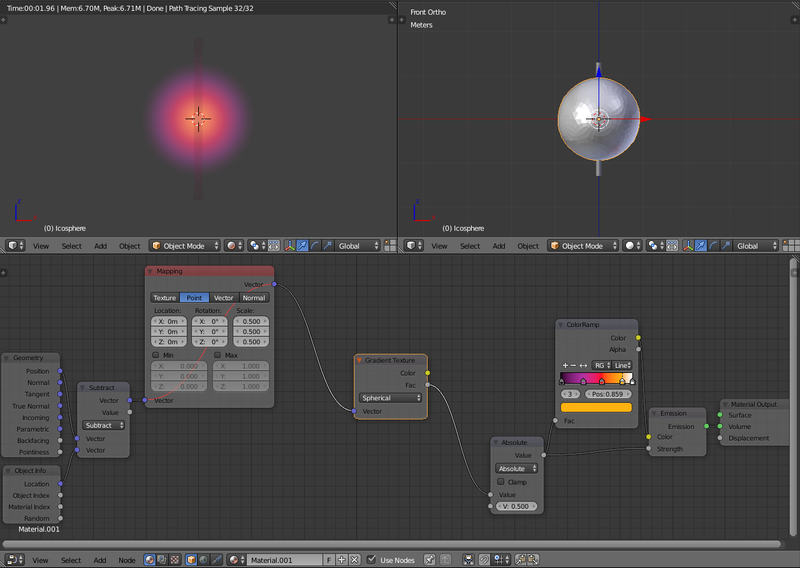 You can use an Emission shader for the Volume socket of your Material output node, and give it a volumetric texture. Create a sphere, and assign a material to it like the one in the picture. The first three nodes to the left (Geometry, Object Info and Vector Math>Subtract) will output a vector (x-x₀, y-y₀, z-z₀) for each x,y,z point in the sphere's volume, where x₀,y₀,z₀ is the pivot point of the sphere. The following node Vector Mapping can be used to scale the texture. These are the cartesian coordinates that will be used to define a scalar function, like a wavefunction. The last four nodes to the right ("Math>Absolute, Color Ramp, Emission, Material output) will take the output of your scalar function and assign it to the volumetric emission, colored according to a color map (I've taken the absolute value, you might want to take the 2nd power, or to have different colors for the positive and negative values). * I've never done this before, so I can't guarantee it's possible to just make python do the math. If it's possible, I think this wiki page is a good starting point. Not the answer you're looking for? Browse other questions tagged scripting light volumetrics or ask your own question. How can a light cone (volumetric) be setup with cycles? How can I make a simple volumetric light on Cycles? Light ray material not working as expected?